HTC One Max, the latest upcoming phablet smartphone from the company is getting huge hype, even before its official launch. Well if believe the latest report which claims that the HTC ONE MAX will be launched on October 17th (the date ). Officially the company has not made any statement on the launch date / release date of the One MAX. The smartphone will cost $800 which is equal to RS. 50,000 in INDIA (rumor), which makes it the most expensive device. 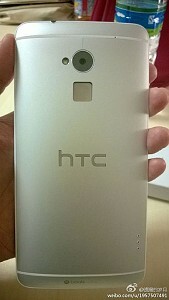 The HTC One MAX 8088 will have micro-SIM card slot and fingerprint sensor. The device will have 5.9-inch capacitive touch screen having Full HD 1080p resolution at 373-ppi. To make users happy while listening audio from the device, HTC will include stereo speakers with built in amplifiers. The HTC ONE MAX would be powered by Quad core 1.7GHz Krait 300 CPU paired with 2GB of RAM and Adreno 320 GPU and runs on Android 4.3 Jelly bean OS. The phablet would have 4-megapixel (ULTRA) primary camera and a 2.1MP front facing camera. It will feature Bluetooth 4.0, WiFi, NFC, DLNA,3G, 4G LTE and micro USP port connectivity. If there will be null difference in the above specifications and the official, the device will be a rival for recently launched Samsung Galaxy Note 3.